Wow... what a class today was. My son - he's 14 - told me just over a month ago that he couldn't take one of my classes because he's not an artist. This... of course... inspired me to insist that he take at least ONE class. Just one... so I could prove to him that he is, indeed an artist. 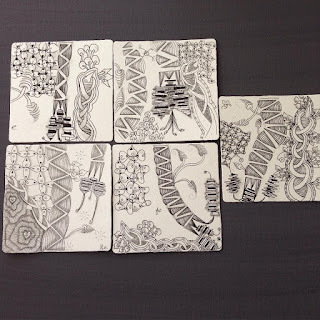 That with the Zentangle® Method everyone can connect to their inner artist. So he came to a class. He enjoyed it... said he didn't know if he wanted to take another class. 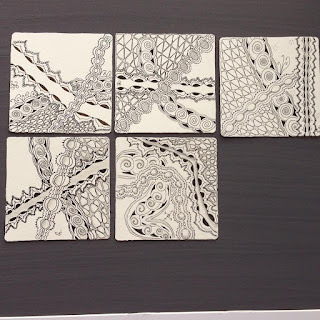 Then he called me two days ago and said that he wanted to come to today's class because he was doing a tile and he didn't know what to put in an area and so... he wanted to learn more tangles. Now first off... I was blown away that he was doing a tile on his own? I was so pleased. 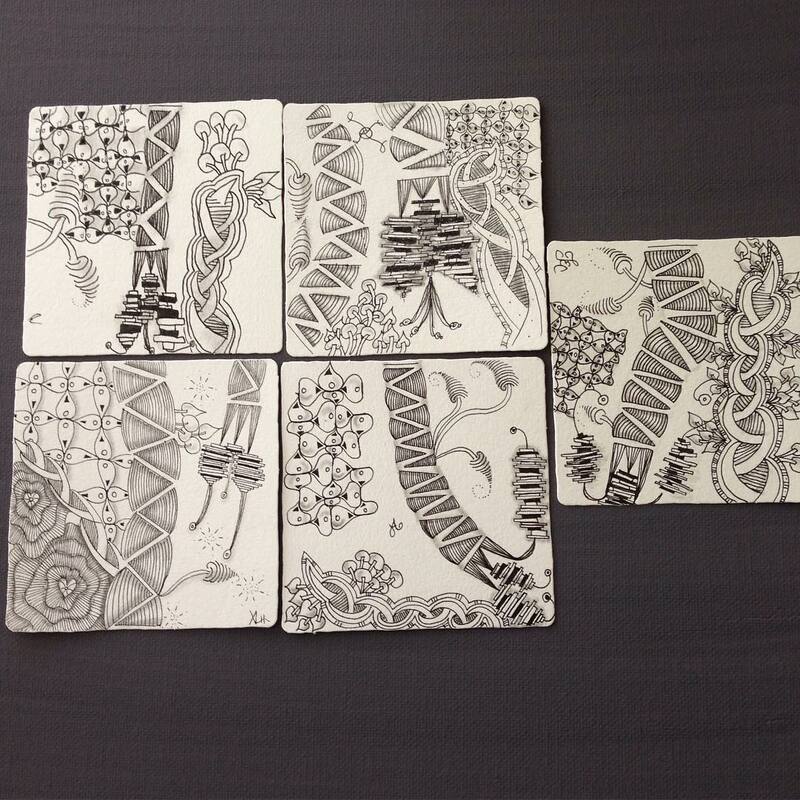 So Parz went out to N. Van today to pick him up (he lives with his bio-Mom) and he created some gorgeous tiles today! I bet you can't pick out which one was his and which one I did. Most of the people in this class were here for their second class! 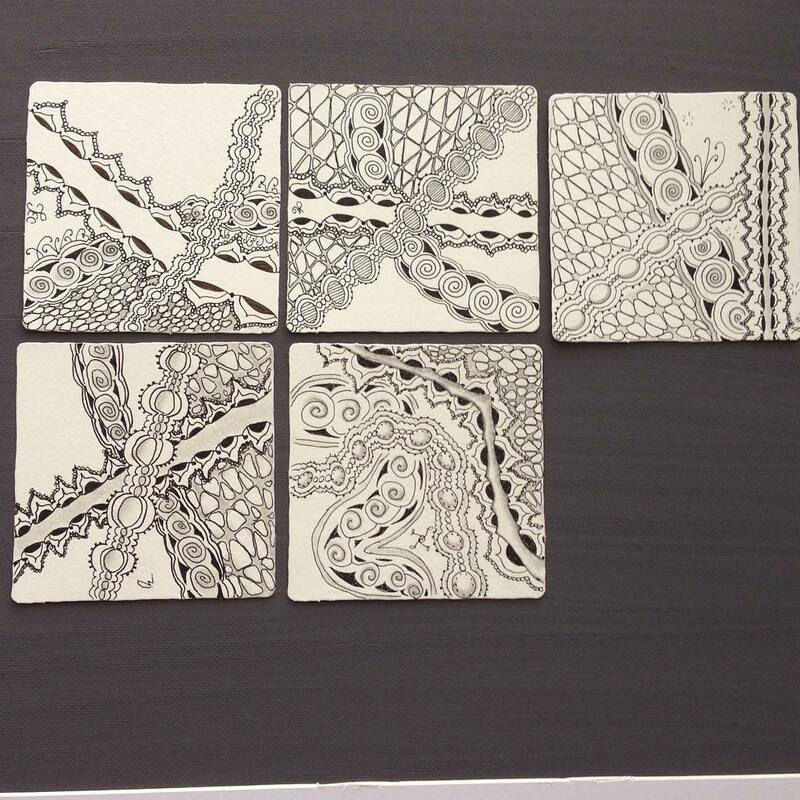 I love Zentangle®. I love what it does when people learn the method. I love how it changes their perception of themselves regarding art. Ok... so check out these gorgeous mosaics from today's class. A friend saw this next mosaic and she thought I drew them all. She was amazed when I told her that one of the students in the class was 14. I loved what she 'saw' in these... Top left: centipede. Middle top: butterfly. Top right: dragonfly. Bottom left: water beetle. Bottom right: frog. 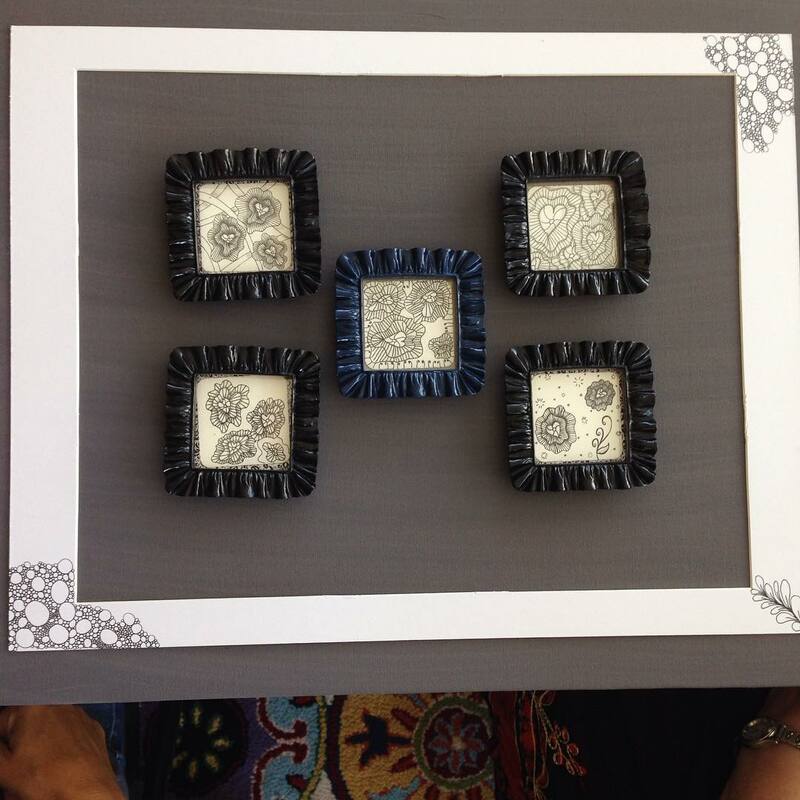 And next... our little Bijou frames and tiles. We started the class doing this one. They ended up learning 16 new tangles in this class. Normally I teach 8-10 per class but they were sponges today! Want to take a class with me? Contact me and let me know. If I don't have a class when you want one... I'll try to create one for you!